While certain cities stateside might still have snow covering the ground, it’s still that time of year, where everyone is starting to think about spring planting. While it’s on your brain, why not thinking about going organic and natural in your garden? If you’re a beginning gardener, thinking about growing organic products might seem a little intimidating and overwhelming. It’s not as difficult as some people may make it sound, and in fact with a little basic knowledge, you can be growing an organic garden in your backyard using a natural ecoysystem. The difference between growing food organically and regular gardening is that you don’t use the synthetic pesticides and fertilizers. The synthetic pesticides have chemical bases, which can be harmful, while organic pesticides utilize plant, mineral and other natural sources. They key to growing a healthy and productive organic garden is ensuring that the soil has a healthy structure and texture, and is full of nutrients. The best soil is well-draining and made of compost, silt, clay and sand. What you’re going to find, however, is that most soil generally has an extreme amount of one ingredient. As a general rule of thumb, it should be about 50/50 when it comes to solid soil and pore spaces. You can help your soil get closer to this ratio by using compost in your soil. Ideal garden soil is loose enough and crumby so that it can be penetrated by roots, water and air. The soil of course must also be fertile in order to grow produce. Soil fertility is influenced by nutrients, pH balance, soil texture and organic matter. Adding additional organic matter to the soil helps improve fertility naturally by working towards a better pH balance as well as improving the structure of the soil. Soil should be tested annually and you should be aware of lead levels. Some variables around the garden that are within your control are runoff and any tools made with lead or leeching plastics. The lead free water hose shown in the video below is your answer for water distribution (shameless plug for 10 years of R&D!). Another thing you will run into as a gardener is pests. Gardeners often use synthetic pesticides to help control the garden pests, but this is not good and it’s not organic. Integrated pest management is how organic gardeners handle their garden, and this strategy utilizes physical, cultural and biological components. It is all about using what is going to help the plants grow and hurt the environment the least, with chemicals only being used when everything else isn’t working. There are all kinds of natural methods used, such as predator organisms, crop rotation, plant coverings, tool cleaning and more. Weeds can also cause problems for organic gardeners of course. There are many natural strategies for weed remediation, such as using mulch to smother the weeds, pulling them by hand, burning them and using faster-growing plants around them. You can sustain an organic garden by sticking with the basics and building a proper foundation of organic gardening strategies. 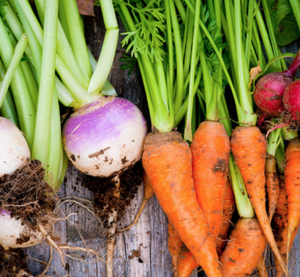 The USDA’s Organic Agriculture site is a great source of information for additional tips and tricks for organic gardening. Roger Walsh is an engineer and hobbyist gardener. He is the proud inventor of the Clear Flow Garden Hose. The plastic that is used to make ordinary hoses contains a chemical called BPA or bisphenol A. This chemical is slowly released over time and if ingested it can cause health problems including brain malfunction, liver cancer and prostate problems especially in small children. Most hoses have brass parts which contain lead. The pigment that is used in the tube also contains lead. Because these hoses are opaque they can have large amounts of bacteria and algae that users are not aware of. Other materials used in the manufacture of hoses have been linked to several kinds of cancers. 1. The material that is used to make it, polyurathane, is 100% safe. The hose is listed by National Sanitation Foundation as the best in the United States the materials its made from have been tested and proven to be a lot safer than drinking from a plastic bottle. 2. The materials dont degrade over time and seep into the water. In the same way, they also dont absorb anything from the environment. 3. The fact that these hoses are 100% recyclable makes them great for the environment. No other garden hose comes with this quality. 4. The hose is clear so you can see any debris that may be lodged inside just run the water for a few seconds and the hose is clean for use. 5. Do you hate the way hoses kink? Youll be happy to know that this no freeze water hose is kink free. 6. Get rid of the yuck bacteria and algae for good by choosing the best no freeze garden hose. Because the hose is transparent sunlight is able to get through it and kill bacteria as well as any other stuff that may be growing inside. 7. To make it double-safe, the hose uses pressure from the water source to empty itself completely. Once you turn off the tap all water is forced out leaving it dry. In addition to that, the hose flattens completely which reduces the odds of debris getting lodged in it. 8. Polyutherane is one of the toughest materials on earth it can last for up to 50 years. You can expect your no freeze water hose to last a long time. 9. Often, many home owners are stuck wondering how to keep a garden hose from freezing. With this hose you never have to. It has nylon fittings that act as an insulator so that you can use it in cold weather. 10. The nylon fittings are also crush-proof. You can run over this hose with your car and it will stay intact. These are 10 reasons for raving no freeze water hose reviews users simply love that not only is it safer for them it is also safe for the environment and durable. Dont take risks with cheap, ordinary garden hoses when you can invest in the best no freeze garden hose.